Do you want the most stylish bathrooms Hedge End has seen? At BST Plumbing Services, we can supply and fit a range of beautiful bathroom suites to suit every home. Whether you are looking for an entirely new bathroom or just want to update a few features, our Hedge End bathrooms service can provide you cost-effective and efficient solutions for all your needs. We spend many hours in our bathroom, and our team understand the importance of both aesthetics and functionality when designing a bathroom for your home. We all need a space in which we can relax with a bubble bath after work or jump in a hot shower to start our morning routine. Our bathrooms Hedge End team can help you make the most of the space you have and match a suite to your home’s décor. We have suite designs to suit all tastes and budgets, and our Hedge End bathrooms experts will give you a FREE no obligation quote there and then for your chosen installation. We can also provide an installation service for any other bathrooms in Hedge End suite supplied by any manufacturer. 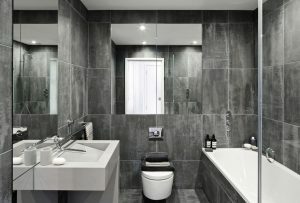 All of our bathroom designs are tailored to your individual needs, and we will ensure we deliver a prompt service that is of the highest standard. If you are not sure what style is right for you, our bathrooms Hedge End specialists can talk you through alternative options to the traditional bathroom that might be better suited to you. You can also take a look at our gallery for inspiration. If you have limited space in your home, or want to add something extra to your en-suite, a shower room is a great alternative to a full bathroom. With our busy lifestyles, many people opt for showers over baths, and these have become part of our everyday routine. Showers are faster, cleaner and easier to install and maintain. Whether you want a standard power shower or something more high-tech, we guarantee our bathrooms in Hedge End range has something to suit your needs. We can also help with your choice of accessories such as tiles and doors. Wet rooms have become increasingly popular in recent years as an alternative to the traditional bathrooms Hedge End has to offer. Wet rooms have an open plan layout that is easy to clean and is great for creating bathroom space. They are also modern looking and allow easy access to the shower and other features. Our Hedge End bathrooms team can also install added features such as under-floor heating and non-slip flooring to provide a functional and stylish bathroom for your home. Whether you need to completely redesign your bathroom for easier access want to add a few features to your existing bathroom, BST Plumbing Services can help. Our dedicated bathrooms Hedge End team will make sure you have everything you need so that you are left with a bathroom to be proud of. With over 20 years’ experience, our team can offer the most comprehensive installations for bathrooms Hedge End has to offer. We pride ourselves on providing excellent customer service and a high standard of workmanship for bathrooms in Hedge End and the surrounding areas including Winchester, Southampton and Bournemouth. To see what our recent customers have to say about our bathrooms in Hedge End, take a look at our testimonials. 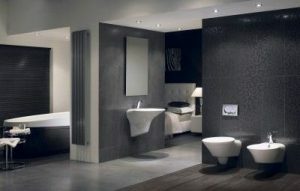 For the finest bathrooms Hedge End has to offer, contact BST Plumbing Services today for your FREE quote. Call us on 02380 453 112 or email us at info@bst-bathrooms.co.uk.